The revolutionary all-inclusive flexible auto lease that will change the way you acquire your next vehicle. For generations, consumers have been limited in their options to obtain a vehicle. Despite its often uncomfortable nuances, purchasing was the dominant choice for many. Then leasing was introduced as a way for manufacturers to increase their client retention but did not necessarily create a true beneﬁt for most consumers. The goal of the Carousel program is to provide an alternative to traditional car buying and leasing. More flexible than purchasing and more cost-effective than leasing. No pressure from long-term vehicle commitment. Drive up to four different cars in a 2-year span. Carousel is a revolutionary All-Inclusive Flexible Auto Leasing concept that will replace traditional buying and leasing with vehicle access via personal and corporate memberships. Members will gain access to standard, mid-line and high-end pre-owned vehicles at a fraction of the cost of owning them. Membership will entitle the client to lease diﬀerent vehicles on four rotating 6–month cycles. Membership includes unlimited service and maintenance during the course of the lease. As an added benefit, Membership may also be put on hold at any time during the 2–year cycle. This will allow members who travel extensively during the year, or part time residents to have access to an automobile of their choice while on island, without the headaches of storing and maintaining it while they are away. Eliminate the uncomfortable negotiations often associated with purchasing a car. 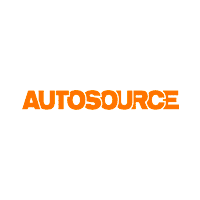 Acquire access to a web-based portal to experience their car before they lease it. Enjoy the benefits of renting, including no maintenance costs and no pressure from long-term vehicle commitment. Minimize the negative elements of buying by reducing monthly payments and maintenance costs; sales price negotiation; owning a depreciating asset. Benefit from the positive elements of leasing, such as: lower monthly payments; no trade-in hassles; tax advantages. Have the flexibility to drive up to four different cars in a 2-year span. The Carousel Program was designed to not only take the worry out of driving but to eliminate the hassles of registration as well. It provides you with access to the Carousel inventory. Do I actually own the car? No, it is a lease. Do I have to pay for a warranty? No, as a part of your membership fee, every car on the Carousel is covered, bumper to bumper. How often can I change cars? You can change once every six months, for a total of four different cars during your 2–year membership. What if I want to drive a car in a different tier? When you exchange your car at a 6–month interval, you may move tiers to drive different levels of cars. Some additional fees may be required. Is the entire Carousel inventory Pre-Owned? Yes, but to ensure the highest level of Member satisfaction, each vehicle is certified by a Carousel Associate and are typically less than 3 model years old. Does my membership fee cover scheduled maintenance as well? Yes, oil changes, new tires, brake repairs, even new wipers. What if I love my car and would rather own it than lease it? You can cancel your membership at any time and purchase your vehicle. What if I lose my job or the economy tightens up? You can suspend your membership at any time without penalty, simply return the car no questions asked. If you would like to resume it you may, again with no additional fees. Can I request a special car? You certainly can. You can also reserve your next car up to 72–hours in advance so it will be ready when you are. Where can I get more information about Carousel and review your inventory? You can find the answers to all of your questions at www.onthecarousel.com. As a Carousel Member, the following terms and conditions govern your membership. The standard Carousel Membership is two (2) years. Within the standard membership, the standard term for a Carousel vehicle lease is six (6) months and the maximum term is one (1) year on qualified vehicles. All payments must be made in accordance with the terms of your lease. Please refer to your lease contract for specific terms and conditions. All Carousel vehicles are evaluated and cleaned prior to delivery. Both the Member and a Carousel Associate will conduct a visual inspection of the vehicle at the time of pick up or delivery. During this inspection the Member must point out any concerns or physical damage on the vehicle. The Member will receive a temporary registration and a safety check which is to be kept in the vehicle at all times. The Member will also be required to show proof of insurance prior to taking possession of their vehicle. There will be a set mileage limit of 10,000 miles per six (6) month term. Each additional mile will be assessed a fee of ten cents (.10) per mile. All scheduled maintenance will be included as part of your Carousel membership. This excludes all wear and tear items. Gap insurance protection is included with every leased vehicle. Smoking is not permitted in the vehicle. Failure to comply will result in a $500.00 deodorizing fee which will be assessed upon the lease expiration. All accidents must be reported to Carousel in writing using the Accident Report Form. All associated repairs are the sole responsibility of the Member, and may be handled through their insurance or personally paid in full. Although some Carousel vehicles are supported by Manufacturer Road Side Assistance programs, it is not provided as a general member benefit. Additional Road Side Assistance coverage may also be obtained through a member’s individual insurance plan. All Carousel vehicles are covered under warranty. The cost of all non-wear and tear malfunctions or repairs will be handled through the Carousel repair vendor network. Carousel provides its members with a concierge service which will include a complimentary loaner vehicle. Non-warranty repairs are the responsibility of the Member. All safety check and registration fees are complimentary for each unique six (6) month lease term. If a member chooses to keep a particular vehicle for more than one (1) six (6) month rotation, and the registration and/or safety check expires during this time, the member will be responsible for all renewal fees. All Carousel vehicles must be returned by 12 PM on the last calendar day of the month. If the last calendar day of the month does not fall on a business day, the Member will be required to return the vehicle by 12 PM on the first business day of the following month. All vehicles will be inspected by a Carousel Associate upon return, and must be deemed to be in similar condition as it was when the vehicle was originally delivered. The interior and the exterior of the vehicle must be clean. Any damages that may have occurred while the member was in possession of the vehicle must clearly be stated and noted by both the Member and a Carousel Associate. A repair charge will be assessed to the Member should the Member wish to return the vehicle without repairing any damages caused while in their possession. All Carousel Members are required to carry their own personal insurance for the duration of their membership. Carousel will not be responsible for any damages, accidental deaths, or negligence associated with the vehicle or driver of said vehicle while it is in the possession of a member. Any and all responsibility in this regard will be the responsibility of the Member and/or the Member’s insurance carrier. Please refer to the lease contract for detailed insurance coverage requirements. The client will be responsible for the cost of all traffic and/or parking violations which are incurred while leasing a Carousel vehicle. Any and all fines that are incurred during the use of a vehicle must be paid regardless of membership status. A Member may choose to exchange their vehicle for another vehicle in the same tier at no extra charge. A new lease agreement will be initiated and no additional fees will be required. The member will be required to update their insurance prior to the delivery of their new vehicle. A Member may move up a tier provided they pay the prorated difference between their initial membership fee and the fee for the higher tier. This fee must be paid prior to taking possession of the new vehicle. A new lease agreement will be initiated and all other fees and payments associated with the new vehicle will apply. The member will be required to update their insurance prior to the delivery of their new vehicle. A member may move down a tier at no charge, however there will not be a refund on the initial membership fee paid. A new lease agreement will be initiated and all other fees and payments associated with the new vehicle will apply. The member will be required to update their insurance prior to the delivery of their new vehicle. At the discretion of the Lessor, a member may choose to re-lease the same vehicle for an additional six (6) month term, but not to exceed two (2) consecutive six (6) month terms. A new lease agreement will be initiated and all other fees and payments associated with the new vehicle will apply. A Member has the option to purchase their Carousel vehicle at any time during their lease period. Courtesy Member pricing will be extended. The Membership fee may not be credited towards purchase price. A Member may suspend their account at anytime during their two (2) year term with no additional fee. The vehicle must be returned and inspected by a Carousel Associate and the active lease agreement will be terminated. During the period of suspension, a member may discontinue their insurance. A membership must be suspended for the duration of the initial lease agreement. Upon reactivation, a Member may choose to reenter the program in any tier. All commensurate fees will apply. Should the Members two (2) year term expire prior to reentry into the program, no refunds will be due. Evaluation of all infractions will be at the discretion of Carousel. All outstanding fees and charges will be settled at the time of cancellation and no refunds to the initial membership fee shall be provided. All Carousel Members are required to maintain accurate personal information records with the company for the duration of membership. Failure to comply may be grounds for membership termination. Shipping of any Carousel vehicle is NOT permitted. Corporate accounts are available to provide expanded membership options for businesses of all sizes. Special pricing packages will be developed on a case by case basis and may not be in accordance with the terms and conditions set forth in this document. Both corporate insurance and a guarantor are required to initiate a corporate account. Households with more than one member maybe eligible for special pricing packages that may not be in accordance with the terms and conditions set forth in this document. Please refer to your lease contract addendum. The Terms and Conditions set forth in this document are subject to change by Carousel at any time. Members who have entered into the program may be grandfathered in at the discretion of the company. All mandatory changes must be communicated in writing thirty (30) days prior to enforcement. Providing flexible, all-inclusive leases designed to change the way consumers acquire their vehicles.